The role of the accounting staff and department is varied and is significant in overall performance and growth of a company. Specific responsibilities are cast on the head of accounts to oversee accounting, taxation, and banking functions. Similarly, owners of family managed businesses and start-ups need to play multiple roles and sometimes overrely on heads of departments and functions. In such situations, having a defined set of rules for operating eases the burden and brings peace of mind for the management. Our clients engage us for specifically designed services that empower personnel with the right technical knowledge together with practical training and operational guides. At V. Purohit & Associates, we understand that it is not always possible for your team leads to be updated and hands-on with the latest amendments, modifications, and provisions laid down by various applicable authorities. That is why we work with several key management personnel across domains and industries to help them stay abreast with the key tax-related developments in their domain. If you are looking for external help for receiving exact, actionable, and timely inputs and assistance for your accounting teams, please feel free to contact us. 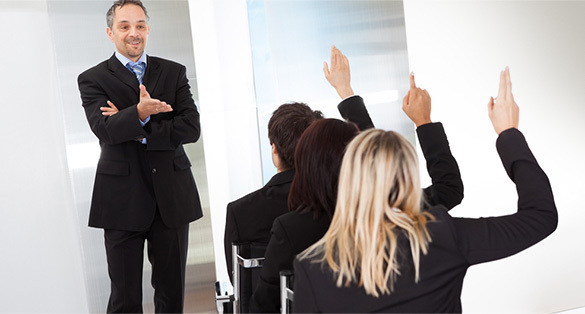 We will be happy to tailor an immersive training session for your teams.